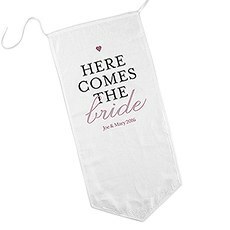 The moment when the bride makes her appearance to walk down the aisle is one of the most important moments of the entire wedding, so make sure that your guests really take notice with a down-the-aisle sign from Weddingstar. 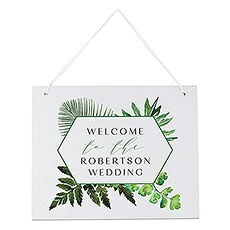 These modern signs are a fairly new wedding tradition, but they make a great way to announce when the bride is about to appear in the ceremony. 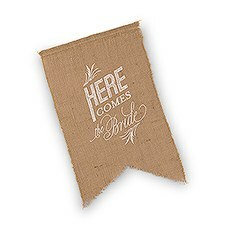 With a wide selection of signs to choose from ranging from the most ornate, decorative signs to the simplest, most elegant options, Weddingstar is sure to carry a down-the-aisle sign that fits in perfectly with the rest of your wedding's atmosphere and décor.Burlap down-the-aisle signs are perfect for rustic, outdoor weddings, and they feature "Here Comes the Bride" written in matching, antique-style fonts to go along with the rest of the rustic theme. 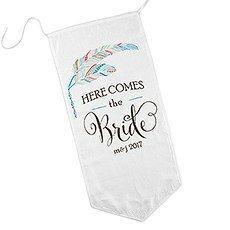 If you prefer something a bit more modern, Weddingstar also carries stark white down-the-aisle signs with colorful designs that you can customize to go with the rest of the wedding's colors. 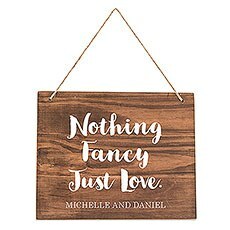 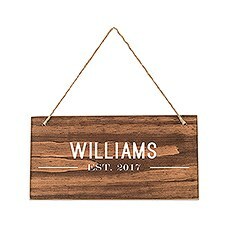 These signs are decorated with beautiful flowers, vines, hearts and other romantic details, and you can choose each color individually to really make them your own. 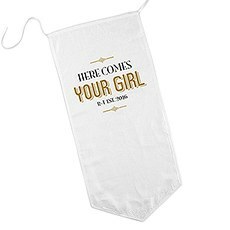 While many of them carry the expected messaging, some even feature fun messages like "Here Comes Your Girl. 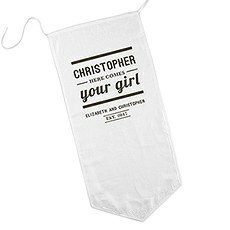 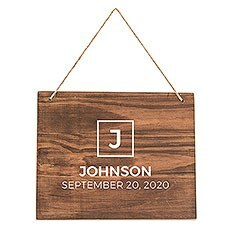 "If you want to go with an even more personalized look for your down-the-aisle sign, choose one that speaks directly to the groom by saying his name. Many of these can also be personalized with the couple's initials, the location or the date of the wedding. 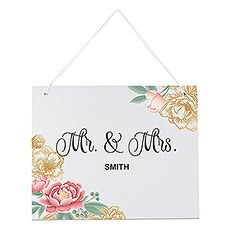 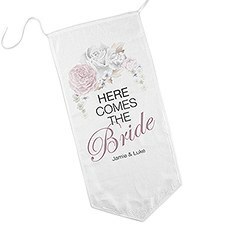 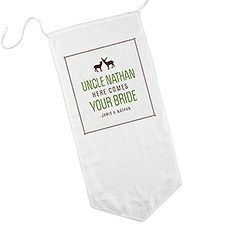 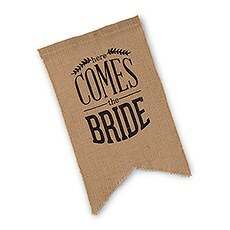 Another cute option is a down-the-aisle sign speaking from the voice of the flower girl or ring bearer. 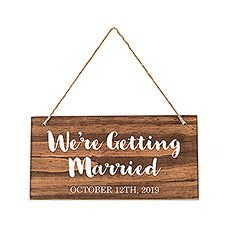 These signs are designed to be held by the smallest members of your wedding party, and they say things like "Uncle Mike, Here Comes Your Bride."